I am a Fullstack Web Developer based in San Francisco. Creating beautiful software is my way of creating a better world. I specialize in creating innovative high quality user experiences. Current Full Time Position: Front End Developer at Zuora. See Github or CodePen for more. 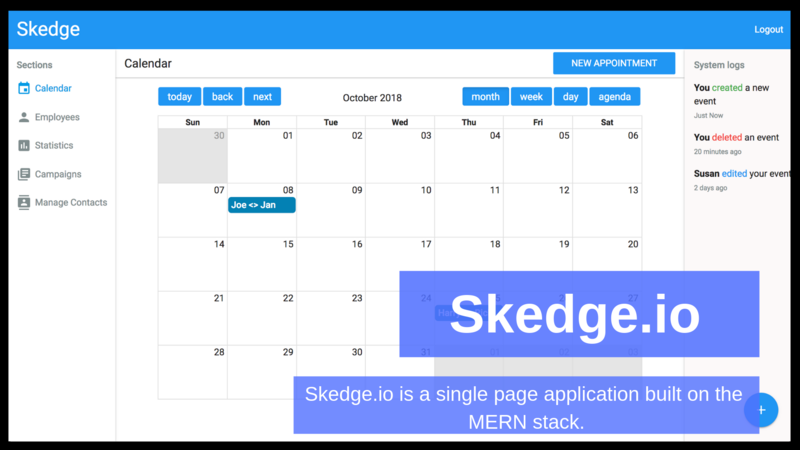 Skedge is a full stack React application that helps businesses grow as they schedule appointments. It's front end technologies are react and redux. Skedge is a personal project with the potential to become a fully fledged Software as a Service once it's complete. Along designing, coding, and shipping the entire Front end, I also did a bit of the back end, Including setting up the authentication, and creating different envirements for production and development. To date, it's my most ambitious personal project. I'm collaboratng with another full stack engineer that focuses more on the backend of the application, while I work on the front end. I created 2b2t.online to solve that problem, by giving users a way to record coordinates of different places for others to find. 2b2t.online also serves the community as a Wiki, and a social network. I also built up a team of dedicated moderators to keep the content clean. It was developed with MongoDB, Express, Handlebars for templating, and NodeJS. Woah.css is an open source CSS Animation Library for eccentric developers. I've really enjoyed using other CSS Animation libraries as a student, and I ventured out to create one of my own. The results of that became my most popular github repository by far with over 150 stars. It trended on Github and was the top post of March, 2018 on Reddit’s Frontend subreddit. You can install woah.css through npm or bower as well. It was my first published npm package. 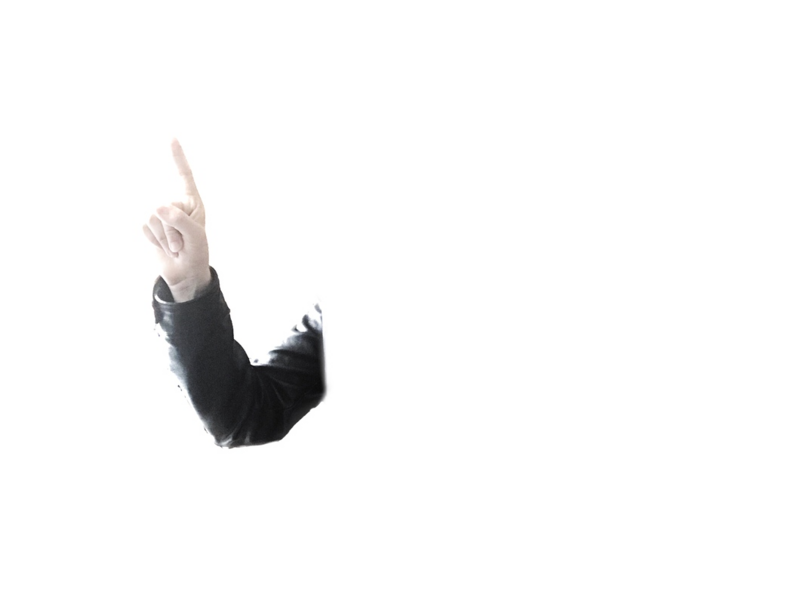 You can view my medium article about woah.css Here. 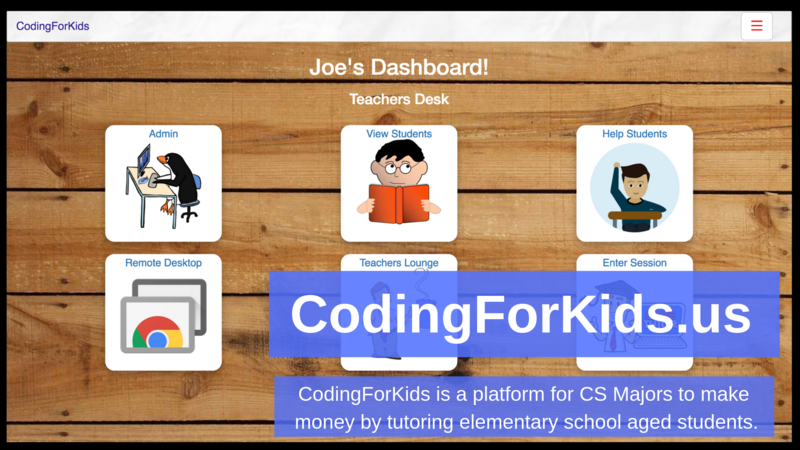 Originally, CodingForKids was the name of the program I started, where I taught Elementary aged students basic front end development. It was also where I started my career in coding. Before moving to San Francisco, I was teaching in seven different Elementary schools in the East Bay area. I was the sole developer for this, and used MongoDB, Express, Handlebars for templating, and Node. I also designed, coded, and shipped everything from scratch. Office Bubbles is a game about nothing and as such, it has no set goals or accomplishments. It's designed to keep you mindlessly entertained while at your desk. It might even sort of look like you're doing work. I developed Office Bubbles as a Single Page Application using React and React Router, as well as Canvas. For several months I began playing around with and developing interactive hero sections on homepages. I would spend more time than I'm proud of playing around on these. Eventually, this lead to the thought that maybe, just maybe, other people would enjoy playing around with them too. The idea for Office Bubbles came to me one evening, and I spent the next 8 hours designing, coding, and shipping it. 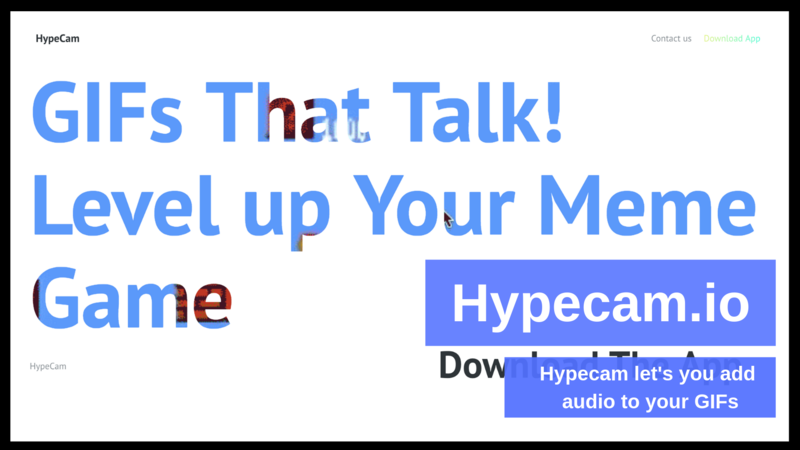 HypeCam was a three month paid contract where I worked as the Lead Full stack Web Developer. I coded and shipped a Node backend for iOS and web that takes requests from the mobile application and posts shareable videos on the website. Collaborated with three other developers. Two of whom were iOS engineers and the other was the product manager. In my youth, I really enjoyed flash games and especially loved becoming an active part of the communities there. One of my favorite games was EpicDuel, an MMO flash RPG where players could create strategic builds and battle other players. The best part of this game was the community that formed with it. Since flash is dying off, the community of EpicDuel is too. I asked the community if they would like a place to record stories about their friends and groups, to stand the time of history. I built EpicDuelStories on the MEHN stack, and designed it with custom CSS and the Materialize library. 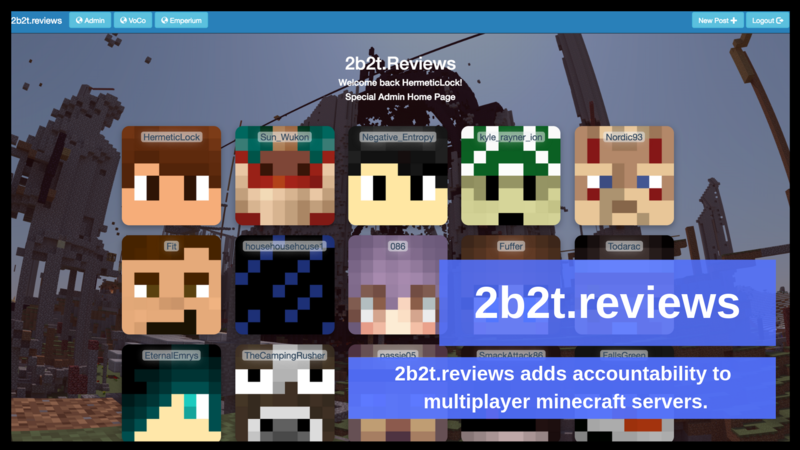 2b2t.reviews was built to add accountability to Minecraft players. It allows users to leave reviews on other players, to see if they are trustworthy. The intention was the create a track record of any negative histories players may have built up on a specific server. After it's creation, it was attacked viciously by malicious users, and these attacks forced me to learn how to protect my web applications from various types of exploits. You can read a more in depth write-up of this experience in one of my publications below. For one of my websites, I wanted to create a 3D book, and I couldn't find any free libraries that I could use to help me. I decided that I would have to create my own 3D book from scratch, and then I turned it into a library for other developers to use. 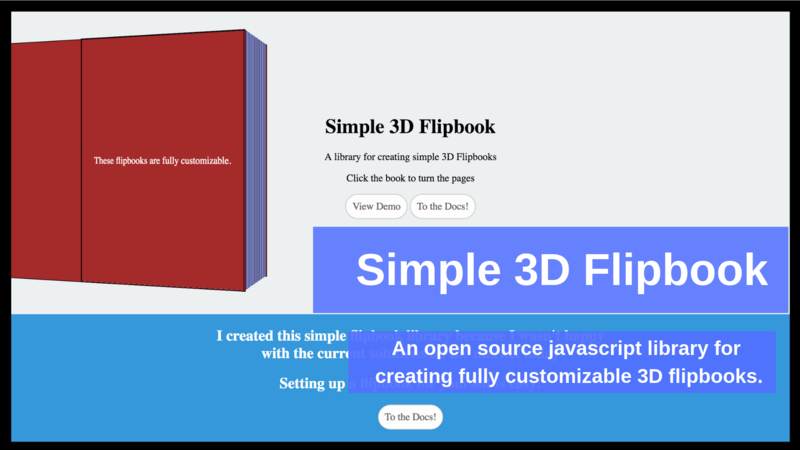 Flipbook.js books are 100% customizable. Developers have the ability to style these books with any rules they deem necessary. The framework handles the rest by adding functionality. It also comes with default styles. 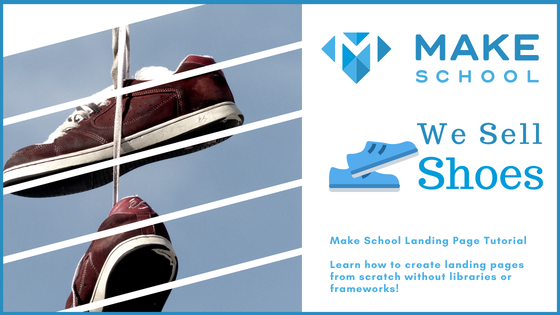 A chrome extension that gives extra productivity to makeschool students and staff. The idea came to me that it wasn't easy to know when other classes started and ended at the school I went to. 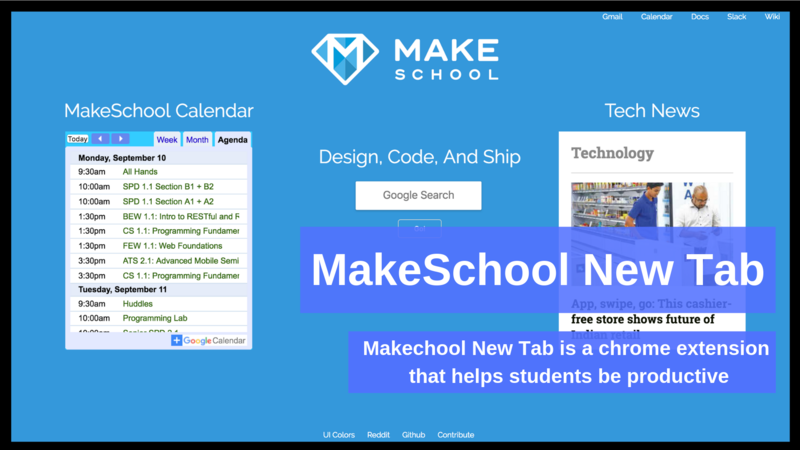 This lead to the idea of creating a New Tab for makeschool students and staff, that could help their productivity. I hooked up their Google Calendar, and also included some tech news to stay in the loop, as well as Google Search, and some other relevent links that developers may find useful. Let's face it, creating full stack React applications with a Node backend isn't an easy process. Couple that with also adding in authentication tied to Redux, and you've got a pretty big time commitment for getting a new project off the ground. I compiled several different MERN stack applicaitons single page applications I've built, and created the perfect boiler plate to get started. This let's you quickly set up a MERN stack Single Page Application, with built in Google oAuth, and a proxy between the front and back end. This projct has also gained a tiny bit of traction on github, in the form of 10+ stars, making it one of my more popular Repos. Many single page web applications don't use transitions for their different routes. React Transitions hopes to change that. Even though this library was built with React and react-router in mind, it actually works with anything, and in the end, it's just a CSS Animation library. This means that you are free to use this with Angular, VanillaJS, really anything. All you have to do is add some class names to pages you want to have transitions on. The big difference between this and any other animation library, is that these transitions are designed for transitioning full pages. Not single elements. The following are Medium Articles I've published that releate to my professional experience. Need Stars on GitHub? Build Open Source Libraries! This was write up I did after my CSS Animation Library started trending on Reddit and Github. My main takeaway was that building open source libraries was well within my capabilties, and the only thing that stopped me from doing it before was my own self doubt. After building my first web application I wanted to show it off on Reddit, which lead to my site getting attacked. 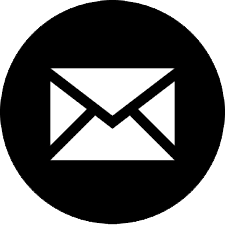 This lead to me learning how to secure my API's and preventing spam form malicious users. I really like using noSQL databases because they're easier to change halfway through development. This article shows why startups are turning to noSQL databases over traditional SQL databases. 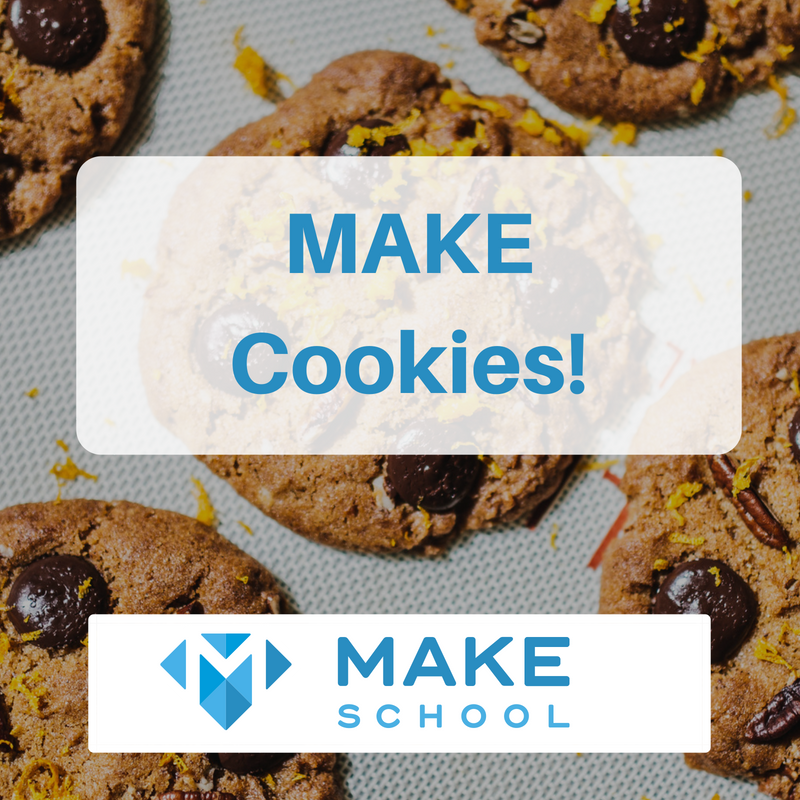 These are the tutorials I published for the Makeschool product college frontend curriculum.